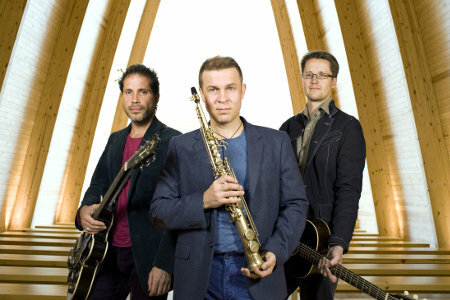 'Jukka Perko Avara Trio' led by the superb alto-saxophonist Jukka Perko, accompanied by two of Finland's finest guitarists, Teemu Viinikainen and Jarmo Saari. 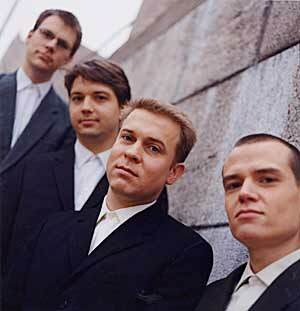 Jukka Perko - www.jukkaperko.com - has made his mark previously on Australia in different ensemble formations at different music festivals, including Wangaratta Jazz Festival, and for years is regularly played on the national jazz and classical ABC radio programs. Jukka Perko's interpretations of Finnish hymns with soulful sincerity and simplicity have deeply touched European audiences for a whole decade and his albums have become landmarks. 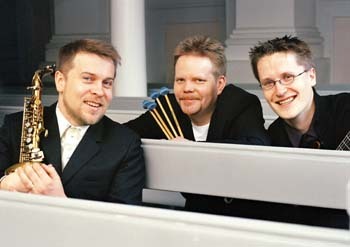 'Hurmio' (means 'Ecstacy' in Finnish) plays interpretations of traditional Finnish music as well as original compositions by Jukka Perkko. The quartet with Jukka Perko on alto- and soprano sax, Manuel Dunkel on tenor sax, Lasse Lindgren on bass acoustic guitar and Teppo Makynen on drums, was the first Finnish jazz group to be released on Blue Note records in 2001. 28 OCT Mon Port Douglas The Clink Theatre Port Douglas - 8 pm tickets from: Hairshop Mossman, Adventure Centre Port Douglas, Fruggie's 4 Mile.